Although traffic ticket offences are provincial offences and not criminal offences, the standard of proof is the same as for offences under the Criminal Code, which is proof beyond a reasonable doubt, and the responsibility is on the prosecution to meet this burden. Good defences to traffic tickets often turn on technical issues having to do with how the prosecution has not met the reasonable doubt standard. As experienced legal representatives, we can challenge the police officer’s evidence and raise a reasonable doubt, for example by questioning when and how the equipment used to lay the charge was tested. Most Highway Traffic Act offences are strict liability offences. What that means is that after the prosecution proves the violation, it is up to you to show you exercised due diligence to prevent the illegal act. The standard of proof for you to prove due diligence, is on a balance of probabilities (rather than beyond a reasonable doubt). With experienced legal representation, you may have a better shot at convincing the court that, on a balance of probabilities, you had a legal justification for your actions in the circumstances. 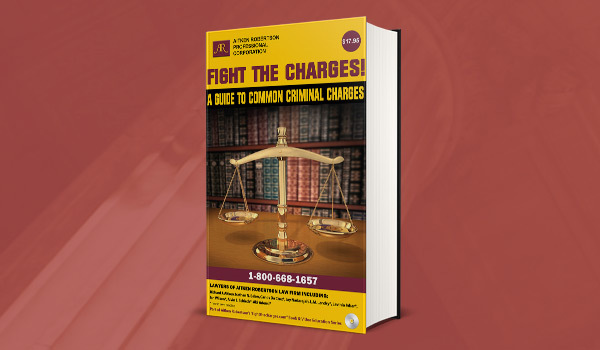 If the court is convinced, your charge could be dismissed. The Provincial Offences Act, which covers all provincial offences, offers common law defences to traffic tickets on a case-by-case basis. That is to say that there may be defences that may be found in the caselaw rather than in any legislation, that are applicable to the particular facts of your case. A good legal representative will be familiar with the relevant caselaw. The Provincial Offences Act also offers the possibility of the reduction of fines even where there are minimum fines set out in the regulation. These fines can sometimes be lowered, reduced or taken away altogether at the discretion of the Justice of the Peace if the right submissions are made. There could also be a Charter challenge if there was an abuse of procedure in violation of your Charter rights. Examples of such violations would be unreasonable delay of the trial or unreasonable search and seizure of your vehicle. A successful Charter challenge could result in a dismissal of the case or an offer of a lesser charge. And finally, any ambiguity on the face of the ticket, such as with regards to the charge laid, the fine, the particular section of the act, etc., should be interpreted in favour of the accused. It is worth it to have a knowledgeable legal professional examine your ticket and give you an opinion before you decide how you will proceed with your charges.